Born on November 10. 1695 in Old Sarum in Wiltshire, England, John Bevis was a physician and amateur astronomer. He was the original discoverer of the Crab Nebula, M1, which he had observed in 1731, 27 years before Charles Messier's own independent rediscovery. Messier was informed only by Bevis in a letter of June 10, 1771, and acknowledged this original discovery in the later publications of his catalog. Bevis is reported to have observed an occultation by Venus of Mercury on May 28, 1737, and observed and found a prediction rule for eclipses of Jupiter's moons. In 1738 he set up a private observatory at Stock Newington, North London, from where he made observations for his own star atlas, Uranographia Britannica, which he completed in 1750. Unfortunately, the publisher went bankrupt after engraving the 52 plates, and only very few printings had been made (Bevis 1750). It was eventually published posthumously, in 1786, from the plates engraved in 1748-50. 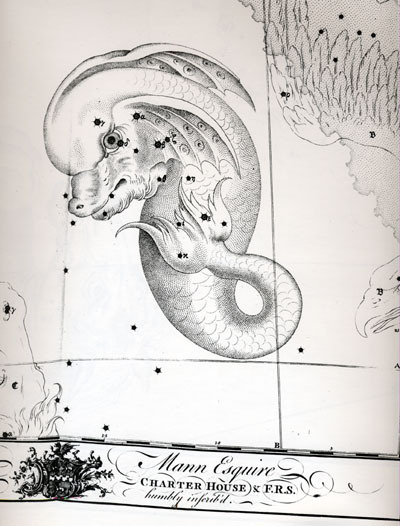 This atlas contains the "nebulae" M1, M11, M13, M22, M31, and M35, which Bevis must have known about; this indicates that he might be the original discoverer of M35 also (this is usually assigned to De Chéseaux). 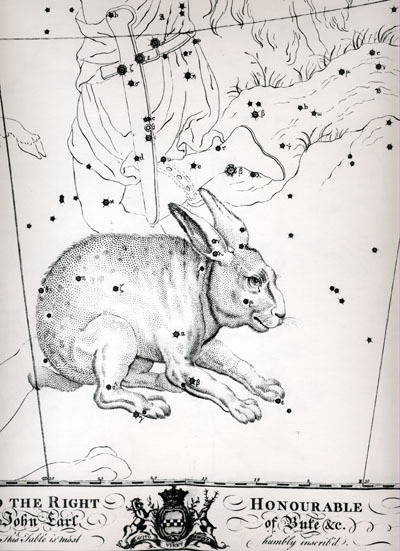 Charles Messier had access to a copy of this work, and consequently, added references to this work in the corresponding entries in his catalog. Bevis' Atlas Celeste has lately been researched (Ashworth 1981, Kilburn et.al. 2003). It also contains the star clusters M44 (Praesepe) and M45 (Pleiades), as well as southern Omega Centauri (NGC 5139) and NGC 6231. Moreover, it contains three stars which don't exist as such ("extinct stars"): One of them is clearly open cluster M29 which is shown as star and not as nebula or cluster, another one is Nova 1670 Vulpeculae, and the nature of a third one, in Ursa Minor at RA 16:10, Dec +82d (J2000.0) cannot be cleared up. The atlas also shows the positions of the supernovae of Tycho (1572) and Kepler (1604). Bevis is one of only two persons in Britain who are known to have observed comet Halley on its first predicted return in 1759: He observed it on May 1 and 2, 1759 after its perihelion; the other British observer, also physician, was Nicholas Munckley who saw it on the same dates. From somewhen in the 1760s until shortly before his death, Bevis was in correspondence with Charles Messier, and translated some of Messier's earlier observing reports and publications for publication in the Philosophical Transactions. John Bevis died on November 6, 1771 at age 76, from injuries received in a tragic accident when falling from his telescope. William B. Ashworth, 1981. John Bevis and his Uranographia (ca. 1750). Proceedings of the American Philosophical Society, Vol. cxxv (125), pp. 52-73. John Bevis, 1750. Atlas Celeste (Uranographia Britannica). John Neale, London; unpublished prints. Kenneth Glyn Jones, 1968. The Search for the Nebulae -- III. Journal of the British Astronomical Association, Vol. 78, No. 6 (1968), pp. 446-454. Section on Bevis: pp. 450-451. Reprinted in: The Search for the Nebulae. Chalfont St. Giles, 1975. Kenneth Glyn Jones, 1991. Messier's Nebulae and Star Clusters. 2nd ed, Cambridge University Press, pp. 313-314. Kevin J. Kilburn, Jay M. Pasachoff, and Owen Gingerich, 2003. The Forgotten Star Atlas: John Bevis's Uranographia Britannica. Journal for the History of Astronomy, Vol. 34, pp. 125-144. [ADS: 2003JHA....34..125K].